On March 19, 2008, Tradia Commerce Network launched its new web site to members, franchise owners and brokers nationwide. Tradia Online, is the culmination of a two year effort made by the IT department, and is the foundation of the Tradia Commerce Network. It replaced the web site that had been used for over six years. The new site was designed as a �software plus services� platform, as it offers members the opportunity to manage their entire trade account online. They can list classifieds, auctions, update their business directory listings, post want ads, make travel requests, see their entire transaction history, and update all their account information. They can read all the Tradia news, browse articles on barter, and connect with other members online. The Tradia IT team is made up of Alan Paget and Jennifer Lucas. Jennifer, the IT Manager, whose previous employment includes Nature�s Sunshine and Best Buy, is Tradia�s internet programmer, network administrator and graphic designer. Alan, a former Microsoft employee, manages the SQL database and Visual Basic programming. They have both been with Tradia for over three years. 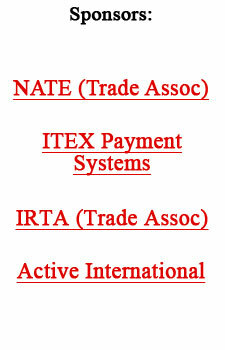 Tradia Commerce Network was founded in 1995. It is the largest privately held barter exchange in the United States with franchises and local trade directors serving over 5000 cardholders nationwide. For more in formation go to www.tradia.net. Steven White, ITEX Chairman/CEO explained, �Demonstrating the volatility and illiquidity of Western Sizzlin common stock, since the exchange offer commenced on December 27, 2007, the stock price has declined by approximately 12%; there have been nine days with no trading activity, and at one point their stock hit a low of $12.80. �Western Sizzlin believed that obtaining its recent NASDAQ listing would result in enhanced liquidity. But lack of liquidity continues to weigh on its stock. ITEX�s stock continues to have almost twenty times the average daily trading volume of Western Sizzlin. �Western Sizzlin has extended its exchange offer twice with the latest extension and shareholder withdrawal rights set to expire on March 26, 2008. The firm has continued to pursue its offer with minimal success. The vast majority of ITEX shareholders have demonstrated that they recognize the offer is not beneficial to them. The Wall Street Journal did a piece for the small-business owner titled, �Barter A Bit and Give Your Cash A Rest�, by Kelly Spors. When it comes to stocking up at the local grocery store, overall food quality matters less than you might think. A new study from Vertis Communications finds that just 1% of adults say overall food quality is the reason they choose a supermarket, while the perception of low prices and convenience - especially how close the store is to either work or home - is far more important.